Babel put it, “the way the world would write if it could write by itself.” And yet Tolstoy labored long and hard over Anna Karenina: it became his artistic response to the spiritual breakdown he suffered. 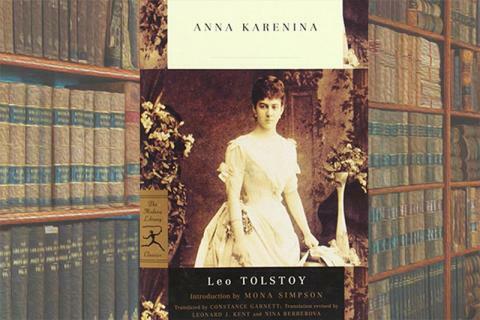 As we spend an afternoon with Anna Karenina, we will identify strategies for reading the novel that enable us to appreciate Tolstoy’s craft and, in particular, his way of weaving together his plots. We will ask the question that, ultimately, haunts most readers: what does Anna have to do with Levin? And we will consider what the Oblonskys, with whom the novel begins, are doing in the midst of it all. We will focus on the means Tolstoy uses to prompt readers to make sense of the variety of experience presented in his novel. Our book salon will be followed by a wine and cheese reception with Professor Liza Knapp, from the Department of Slavic Languages at Columbia, and the author of Anna Karenina and Others: Tolstoy’s Labyrinth of Plots and the co-editor of the MLA Approaches to Teaching Anna Karenina.